On September 27th, we all witnessed the courage of Dr. Christine Blasey Ford, who bravely shared her experience of sexual abuse before Congress. 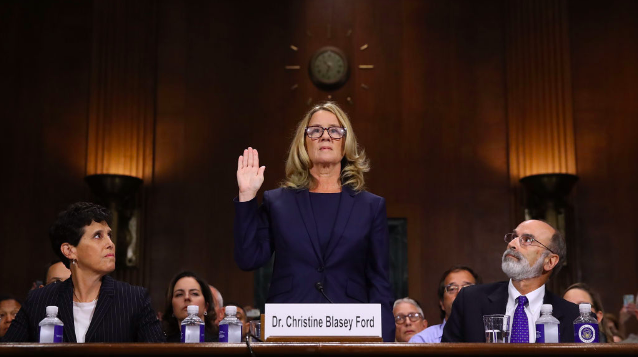 During her testimony, Dr. Blasey Ford said that she has been touched by the incredible support shown by members of the public. While the confirmation process has concluded, she is still feeling the impact of her testimony, and needs our support more now than ever. Join POWarts on Thursday, October 18 to collectively express our gratitude for her civic action by writing postcards of support.